Composting toilet regulations vary greatly from state to state (and many states do not have any codes for them at all). 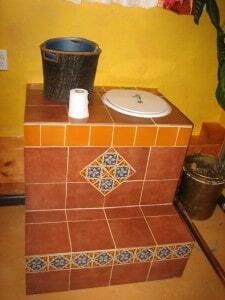 In many situations composting toilets codes don’t apply to homes that also have a flush toilet. Dwellings that do require permission and permitting are new construction seeking an alternative wastewater system (to install a composting toilet instead of a septic or sewer system). Some states allow composting toilets instead of a sewer/septic, though usually only NSF-certified manufactured types (and prohibit the more affordable and often better functioning site-built toilets). However, some states are beginning to change this policy; for example, the state of Oregon now includes site-built composting toilets as a legal option (find the section in Oregon’s “Reach Code”). If you’re building a new home and want an alternative wastewater system, be aware that most jurisdictions still require a septic or sewer option (in other words, the land needs to meet percolation requirements so a septic system could be installed in the future). Check with your local environmental health department or department of the environment for composting toilet regulations. If you’re having trouble finding local info this webpage (made by Joseph Jenkins in 1999) is a good place to start. Your toilet and the composting area are on your property. You can’t transport human waste across property lines unless you are licensed to do so (like a portable toilet company). If you compost the material in your own yard, you are not breaking this law. There are no restrictions in your area prohibiting backyard compost piles. Make sure your compost bin or pile does not create any bad odors or other nuisances that could bother your neighbors. You have one flush toilet. U.S. building codes typically require every legally habitable dwelling to have at least one flush toilet connected to an approved sewer or septic system. ReCode, a grassroots organization based in Portland, Oregon, works to legalize sustainable sanitation systems. They convened a group of composting toilet experts from across the country to write a draft composting toilet code for IAPMO’s review. (IAPMO writes the Universal Plumbing Code which is adopted by many western states.) This code is included in the 2017 Water Efficiency Standard (WE-Stand). You can download a copy here: WEStand2017-CT. Arizona’s Department of Environmental Quality is working on a study of site-built toilets. You can read more about it here.